It's chamber music for the modern age - a distillation of a whole history of music, filtered through the purity of acoustic string instruments. 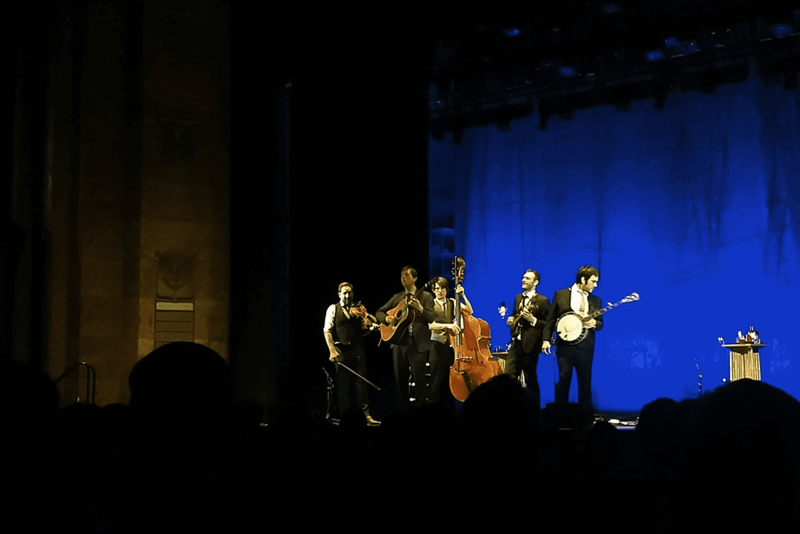 Chris Thile, taking a break from his day job as host of the radio show “Live From Here,” got the band back together for a spring tour with the Punch Brothers. The tour started with a return to the State Theatre in Ithaca, N.Y. A place that banjoist, Noam Pikelny deemed to be too trusting due to the fact that on their last visit, a stranger on their flight offered them a place to stay just a few minutes after meeting them. 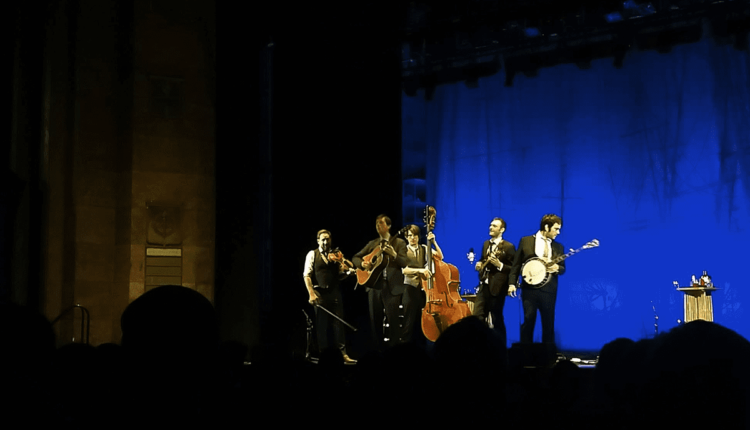 In return, Punch Brothers entrusted Ithica with the task of helping them kick off their first show of the year. From note one, it was on. There was no rust on stage or in the seats. It was as if their previous engagement at the theater had never ended. There was a standing ‘O’ as the band walked on the stage, opening with “Movement and Location,” full of mid-tour energy and ease. The audience was rapt, reacting and enjoying every nuance of each note. The show was mostly a get-down-to-business affair, songs flowed effortlessly into each other and chatter was held to a minimum. Though some songs required further explanation, such as when they featured two different Tiki drink-themed instrumentals in the set. First the World War II drink “Three Dots and a Dash.” Later it was “Jungle Bird,” which Thile eloquently provided the recipe for. This then devolved into an argument with Pikelny over the meaning of “cheeky bit.” It was a comedy bit reminiscent of “Live From Here” and a welcome comedy break. The show concluded with an encore played unplugged and front of stage. The crowd was whisper quiet and the acoustically-sound room carried “The Hops of Guldenberg” to the furthest reach without issue. Without prompt the crowd joined in for some hearty “Oh Boys” for the show closer. The trust was warranted. Opener, Gabriel Kahane, played a short set of solo piano and guitar pieces. After the 2016 election, Kahane spent two weeks traveling by train with no phone or other modern technology, passing the time conversing with passengers in the dining cars, trying to understand and connect with people. He wrote an album’s worth of material about the experience and played some of it in his set, beautiful and meandering piano pieces. As about as stark a contrast as one could imagine, he sandwiched in a group of mini songs based on bizarre and comical tweets he read, with subjects like killer cats, Marie Kondo and Mr. Peanut.